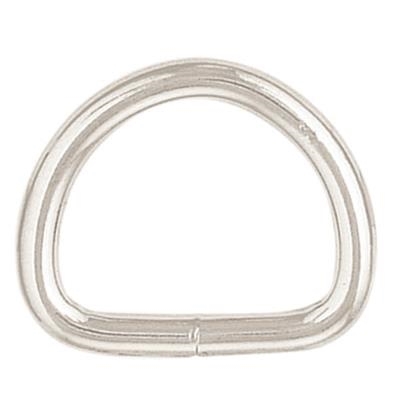 Nickel Plated Steel 1" D Ring - CLOSEOUT These economical welded designed D rings offer durability and performance that is ideal for belts, dog collars, bags, breast collars and more. Available while supplies last at The Distance Depot. These economical welded designed D rings offer durability and performance that is ideal for belts, dog collars, bags, breast collars and more. Available while supplies last.